Pack of 10 individually boxed British Electric Lamps halogen ES – E27 Edison screw cap 42w clear golf ball lamp bulbs. 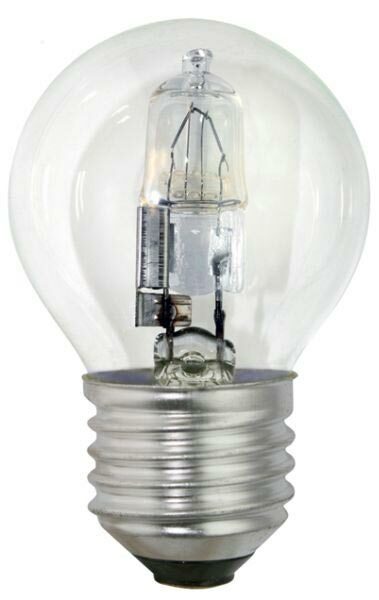 These lamps give out the light equivalent to a 60w incandescent lamp. These energy saving halogen golf ball lamps have been designed to achieve up to 30% energy saving compared to traditional incandescent lamps. They look the same but last at least twice as long, save you money and unlike CFL lamps, they are fully dimmable.